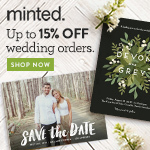 Wanderlust weddings are trendy for 2015 – so if you’re planning a travel themed wedding or are traveling to a destination for your wedding you may wonder what you can get your groomsmen who are flying with you for your big day. Or perhaps he’s always on the go – Whether he’s taking a road trip with his family or flying coast to coast on business, he’s going to need supplies that are on the go. Give him a gift that suits all of his travel needs such as a luggage tag, personalized toiletry bag or travel alarm clock. These great gifts are sure to make him feel like he’s flying first class…even if he’s not. They’re perfect for Thank You’s, Father’s Day, and of course, groomsmen gifts! A Personalized Leather Travel Mug or Stainless Steel Tumbler will come in handy when he’s downing coffee to stay awake while driving across the country. Fill it up with tea or coffee if he’s up early for those oh so important meetings. You can also give him a Personalized Travel Bag. With a selection of various sizes, materials and styles, you’re sure to find something suitable for his travel needs. Top picks include this Micro Fiber Toiletry Bag, which has four zippered compartments for neat organization and an easy cleanup for a messy spill. All of the compartments are removable, too. This Canvas Travel Bag is perfect for any traveler; it’s large enough to hold virtually all toiletries, and has a handle for simple carrying. For a more upscale gift, this Leather Travel Bag is certainly convenient and sure to last a long time. Little Things’ personal favorite is this Monogrammed Men’s Grooming Case. The brown leatherette has a very distressed look for a worn in and vintage feel. The buckles add a fine touch, and the item is monogrammed too! Passport covers and luggage tags have been popular as gifts and wedding favors, too, for a while now. Visit our section for a small yet universal selection of fine quality leather passport covers and personalized silver plated luggage tags. There is also a selection of personalized manicure sets. Some even include extra features, such as a Manicure & Shoe Shine Kit. For something a little less common, give a Travel Alarm Clock. It’s a great idea for the traveling businessman who is a frequent hotel guest, and for someone who would rather use this instead of relying on his cell phone alarm. A few of the clocks even have a picture frame on the opposite side so he can insert his favorite photo of his spouse, family, friends or pet and wake up with a smile. Finally, who wouldn’t love this fuzzy Velour Comfort Robe? He can slip into this when he wakes up to fight off the morning chill, or cozy up in it before heading off to bed. Not only perfect for travel, but perfect for home or even the spa, too! Whether he’s skiing in the Alps, eating pasta in Rome, surfing in Australia or meditating in India, one of these travel gifts are sure to come in handy. From toiletry bags to luggage tags, there’s something available for every type of man. Personalize most of them at no additional cost and watch the smiles beam when you give him his groomsmen gifts. What better way to unwind after a long day of work than with a nice drink? Your groomsman is sure to appreciate–and use–a barware gift. Choose from our large selection of home bar supplies including shot glasses, pilsners, beer steins, tumblers, shooters, coasters and much more. Add personalization at no additional cost and watch your groomsmen throw them back with these top five picks of our barware groomsmen’s gifts. 1. Jagger Bomb Shot Set (Set of 4) – (Shown left.) Who hasn’t had an ever notorious Jagger bomb? Instead of splashing yourself in the face with Red Bull when you drop a shot glass, pour and drink the chaser and shot neatly with these specially designed glasses. You’ll be saying “Bombs Away” when chugging back these! Whip them out at any party and watch everyone flock over…they’re sure to spark a great conversation and create a lot of fun. 2. Personalized Tavern Beer Mugs (Set of 4) – Let him enjoy his annual football game with a huge glass of an ice cold beer–13.5 ounces, to be exact. The tankard style is a traditional one, with a single letter monogram on each glass for a personal touch. Cheers! 3. Fluted Shot Glasses (Set of 2) – SHOTS! SHOTS! SHOTS! SHOTS! SHOTS! SHOTS! A simple shot glass, yet so classy! You’re sure to pump up the party with these high quality shot glasses. The beveled base makes the glass look more intricate and stand out from the crowd. They’re also able to be personalized with a different line on each glass. 4. Monogram Old-Fashioned Glasses (Set of 4) – If he’s the type of guy that likes to sit back in a chair with a nice cigar, than look no further, because you won’t find anything better than these drinking glasses. Perfect for your old-fashioned gentleman, these drinking glasses can be monogramed with a single inital like shown in the picture. 5. Big Ben Bottle Opener – Save him the time of searching for a bottle opener or cracking his beer open on the counter. This small ‘Big Ben’ bottle opener has a sleek and sturdy design compact enough to stick in his pocket, or anywhere else for that matter! The rubber grip around the edge makes it easy to hold so you don’t have to worry about slipping when opening a bottle. Personalize it with one line of text. Barware groomsmen’s gifts are traditional, practical and make great keepsakes. Be sure to visit our section for a wide variety of shot glasses, shooters, beer steins, and more! And if you’re looking for wedding favors, be sure to check out our amazing selection! In the spirit of of “going green,” here at Little Things we try to help the environment in any way we can. We’ve come a long way from our days of being wasteful: today, we recycle all of our bottles, cans, and cardboard, use environmentally friendly products such as recycled Post Its and other paper goods, make donations to Carbon Fund, and of course, feature eco-friendly wedding favors! It’s been a big year for eco-friendly weddings and favors. Brides and grooms everywhere are planning green weddings by giving out not only eco-friendly wedding favors, but serving organic food and wine, wearing attire made from organic fabrics and dyes, looking for venues with minimal electricity and much more. So if you’re one of these wonderful men or women, why not go green when giving out gifts to your wedding party, too? We offer a small selection of green bridesmaids’ gifts for you to choose from. Visit the section to browse through bags and totes constructed from organic material, such as hemp. Items like our Jute Bags include easy to hold bamboo handles. Consider a trendy tote, backpack, cooler, or wine bag for your bridesmaids. The best part of all is that every one can be personalized at no additional cost with either a monogram, initial, name or custom lines. Be sure to browse around our website for other great eco-friendly items including favors, gifts and accessories. We encourage everyone to do their part to help the environment! Remember, the smallest effort can make a difference. Well, unfortunately Little Things doesn’t offer hanging wall mirrors as bridesmaid’s gifts. However, we do offer a chic collection of compact purse mirrors that are certain to have your bridesmaids staring at themselves all day long! Sure to be the perfect gift, these mirrors are top quality items perfect for your bridesmaids to carry around in their handbag. After all, what women doesn’t like to have one handy to apply their lipstick or gloss, or do a quick teeth check? 1. Personalized Silver Plated Contour Heart Mirror – Not your typical compact mirror. This slightly different heart shape is sure to have your bridesmaid’s feeling exclusive with their one of a kind gift. Personalize the mirror with two lines of custom text, and choose from 12 different font styles. 2. Personalized Round Brushed Chrome Compact Mirror – Simple, but definitely not ordinary, this sleek mirror is the one that is sure to appeal to girls of all types. Flip it open to look at that pretty face and perform quick makeup fixes. The opposite side is mega-magnifying to assist in plucking those hard to see hairs or hit every single eyelash with mascara. Engrave the chrome cover with two lines of personalization at no additional cost. 3. Personalized Rhinestone Compact Mirror – Girly enough for your girlfriend that loves pink and glitter, yet classy enough for your more sophisticated friends. The sleek mirror is slim enough to fit not only in any purse, but even the tiniest of makeup bags, clutches, or cell phone pockets inside handbags (to prevent scratching, of course). With two rows of rhinestones in two of the corners, the mirror shouts “high class” without being too gaudy. 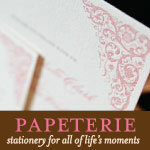 Engrave it with a monogram or name for free. Each of our compact mirrors makes a great bridesmaid’s gift. Snap shut each one with its secure clasp to prevent seven years of bad luck, and rest assured the quality is no less than fabulous. You’re sure to feel more than pleased with yourself by giving personalized compact mirrors to your bridesmaids. The gift is not only useful, but a long lasting keepsake to keep the memories of your special day alive. Be sure to check out wedding favors if you haven’t gotten those already!